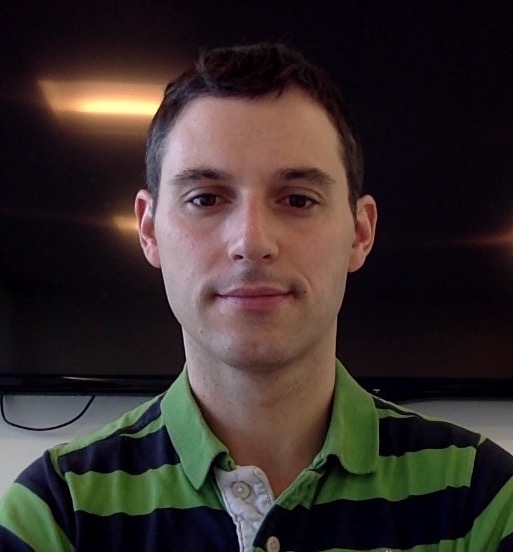 On Tuesday, March 24 2015 I gave a talk at Perimeter Institute in Waterloo, Canada. 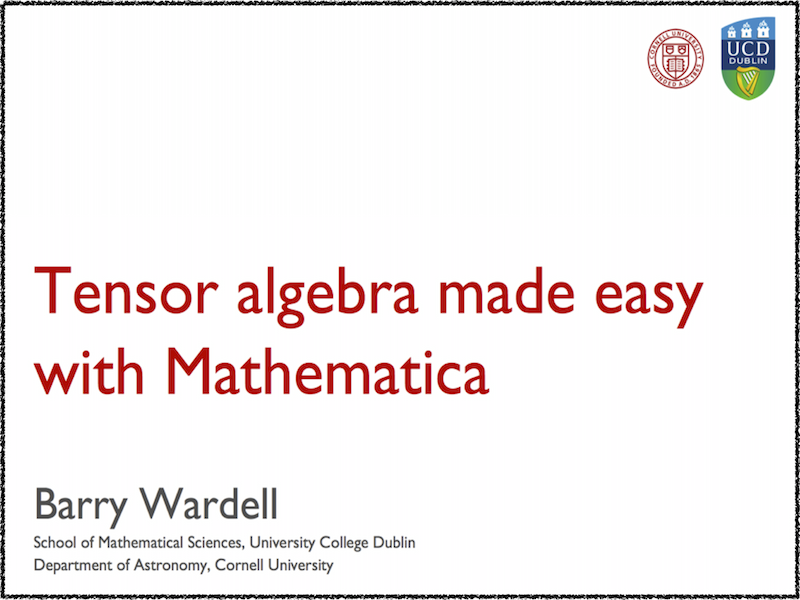 In the presentation, I described xAct, a tensor algebra package for Mathematica which was primarily developed by Jose Maria Martin-Garcia. The talk is available online through the Perimeter Institute video library and the Mathematica notebook containing the slides from the talk are available for download separately. On Thursday, March 19 2015 I gave a talk in the CASL Seminar Series at University College Dublin. In the presentation, I gave an overview of my research on “Numerical Simulations of Black Hole Binaries”. The talk is available online in the above YouTube video. We present analytic computations of gauge invariant quantities for a point mass in a circular orbit around a Schwarzschild black hole, giving results up to 15.5 post-Newtonian order in this paper and up to 21.5 post-Newtonian order in an online repository. Our calculation is based on the functional series method of Mano, Suzuki and Takasugi (MST) and a recent series of results by Bini and Damour. We develop an optimised method for generating post-Newtonian expansions of the MST series, enabling significantly faster computations. We also clarify the structure of the expansions for large values of , and in doing so develop an efficient new method for generating the MST renormalised angular momentum, . Update: The paper has now been published as Phys. Rev. D 92, 084025 (2015). Building on substantial foundational progress in understanding the effect of a small body’s self-field on its own motion, the past 15 years has seen the emergence of several strategies for explicitly computing self-field corrections to the equations of motion of a small, point-like charge. These approaches broadly fall into three categories: (i) mode-sum regularization, (ii) effective source approaches and (iii) worldline convolution methods. This paper reviews the various approaches and gives details of how each one is implemented in practice, highlighting some of the key features in each case.